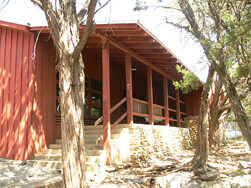 Hopi Lodge is an acclimated unit providing sleeping quarters and a kitchen. It shares its toilets and open air showers with Hopi Cabin Unit. Capacity: 20.